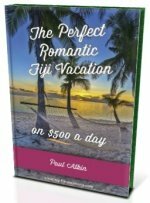 Searching for the ideal Fiji honeymoon destination? 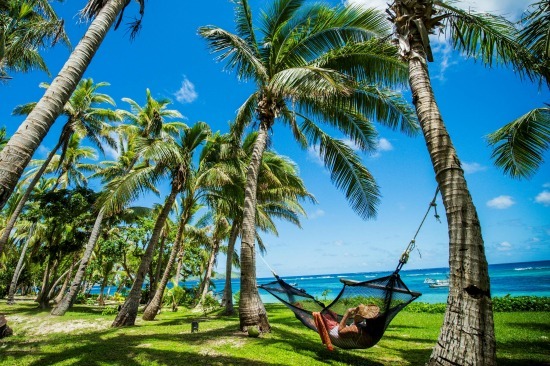 Discover Tokoriki Island Resort secluded on a tropical island, it's paradise found for couples. - Who does Tokoriki Fiji suit? Who does Tokoriki Fiji suit? 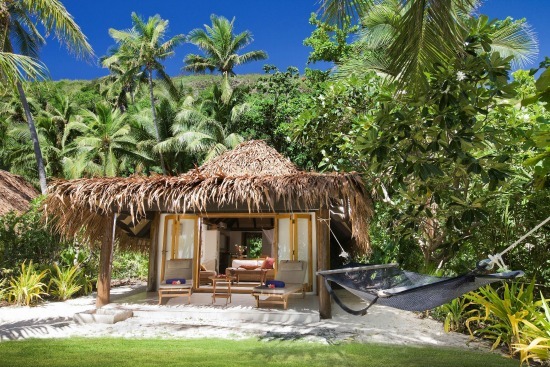 Tokoriki Island Resort suits romantic couples wanting a luxurious private getaway. Fullstop. Small hilly Tokoriki Island is located at the top of the Mamanuca group of islands. It lies around 35 kilometres (22 miles) from Nadi on the mainland. 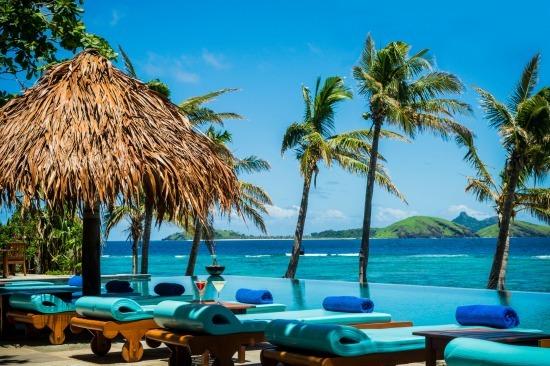 Many couples that arrive come via helicopter, seaplane, or speedboat. Via air it's a quick 12-minute transfer from Nadi Airport. Speedboat is the only night option, which runs 24 hours. The South Seas ferry is also an option, and the most economical. It takes 1¼ hours and leaves once mid-morning and once mid-afternoon. 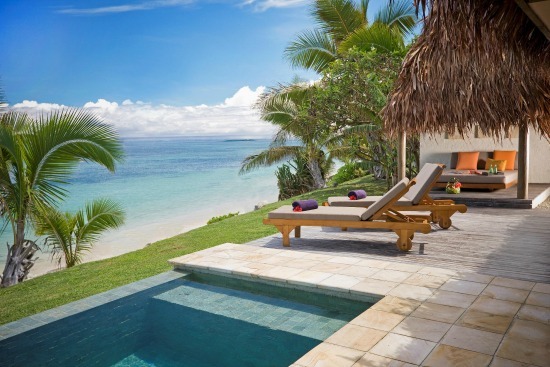 Both the Beachfront Bure and the Sunset Pool Villa has it's own plunge pool. 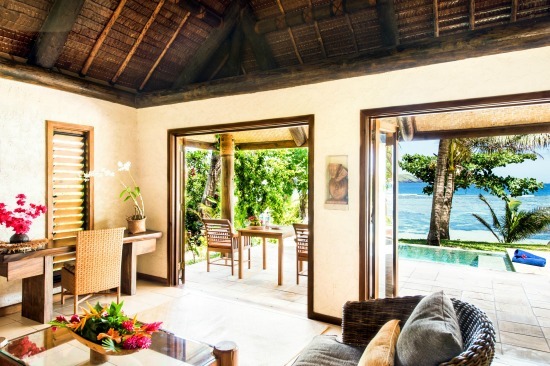 The Sunset Pool Villa is the pick here with elevated views, more spacious, and a daybed. 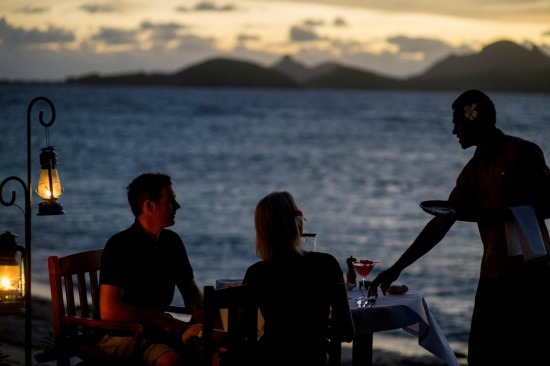 Dining options at Tokoriki oozes romance and privacy. Two of the options having limited seating with the Japanese Teppanyaki Restaurant only accommodating 4 couples and the oceanfront dining having just 4 tables. Make sure you book! Breakfast is a la carte, 2 courses for lunch, 4 courses for dinner, with afternoon tea. 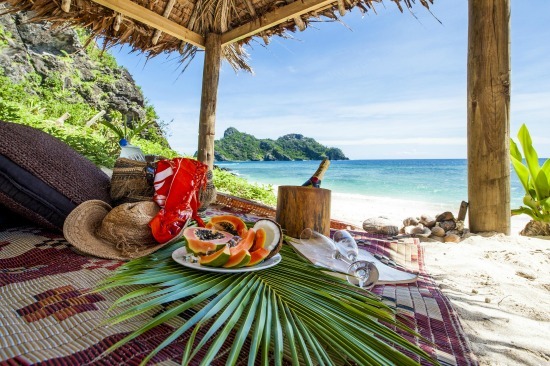 On hand are options such as beach picnics, unlimited sparkling wine dinners, and a seafood feast on your deck. 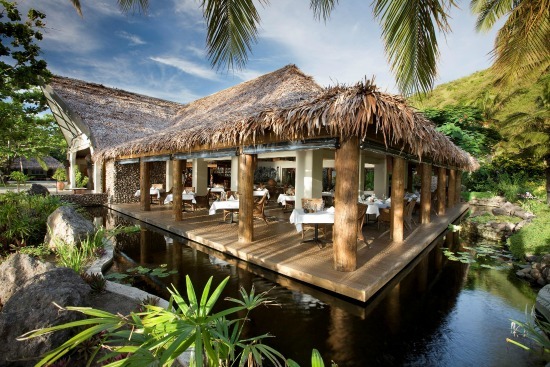 A meal option of FJ$198 per person per day is available. It doesn't include some of the fancier options however. Needlessly to say, an ample wine and alcohol list is provided. The perfect romantic getaway wouldn't be complete with various day spa options. Receive pampering in the forms of massages, treatments, etc. A unique 'unlimited spa package', which is quite reasonably priced will sure to peak your interest. Check out the current specials and packages.